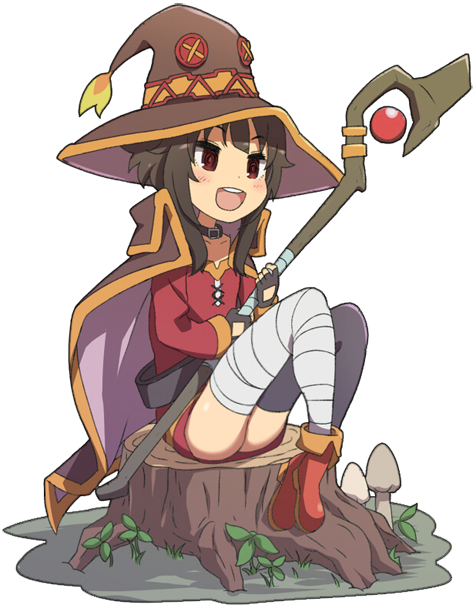 This is Megumin from the anime Konosuba. 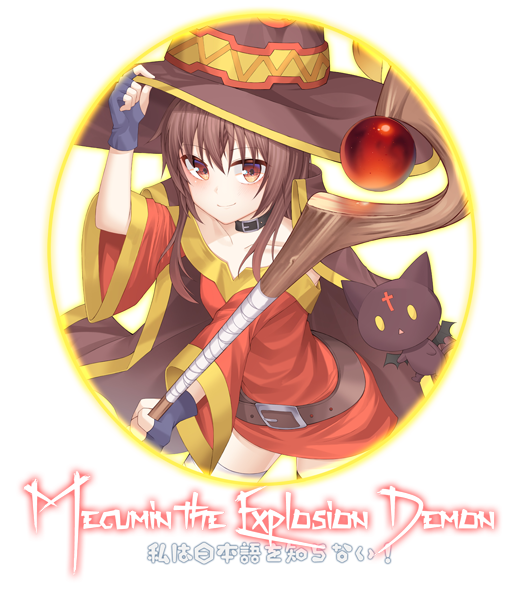 She’s an explosion mage. 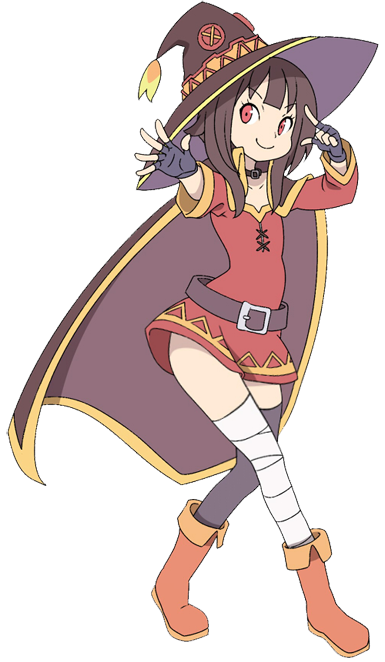 I’ve only seen the first season and that was back when it came out, so i can’t really remember much about her other than she’s able to cast a really powerful explosion spell once a day because she passes out after casting it and refuses to learn other spells. 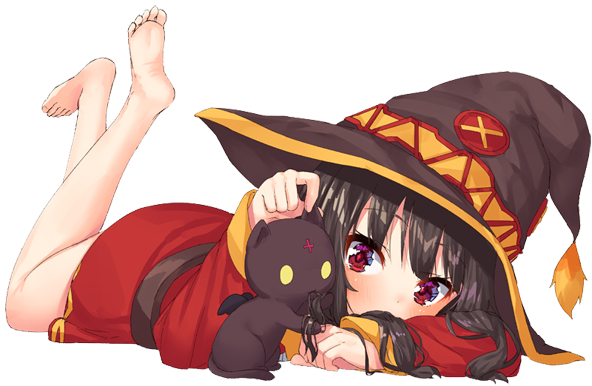 Obviously that would make her pretty useless in Skyrim, so she can cast infinite explosions (a fireball spell with altered stats). She can cast the spell with her staff and with her hands. I don’t recall the first season going into her background. I don’t want to spoil anything for myself by looking ahead. I’m waiting for my friend to return to the country so we can both watch season 2. So the Skyrimized background for her might be scuffed. 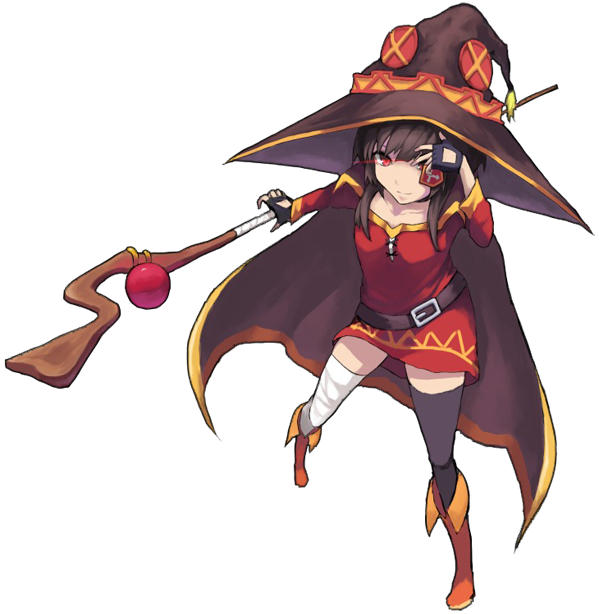 Megumin is an aspiring mage looking to master explosion magic. She;’s very gifted in magic, but her refusal to learn anything else has caused her to be kicked out of the College of Winterhold until she’s willing to learn the fundamentals of magic. 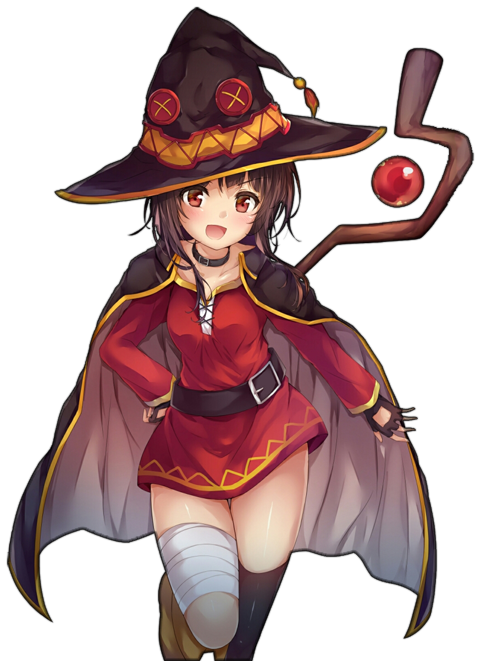 She’s really stubborn of course, so now she’s looking for fellow adventurer to travel with so they can fight things while she casts her explosions.